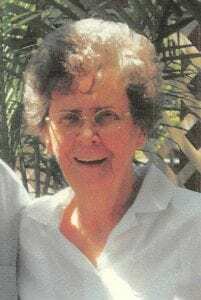 Dorothy Ann Miller, 81, long time resident of Pleasanton went to be with our Lord, Jesus Christ on June 11, 2018. She was born in Dallas on July 19, 1936 to William Isaac and Margaret Jane Sullivan. Dorothy is survived by her beloved husband of 48 years, James Edward Miller; children, Bill Jacobs, Johnny A. Cunningham, James D. Cunningham, William Jeremy Barnes, Stacy Miller Tinkham and Michael Miller. She is also survived by twelve grandchildren and sixteen great grandchildren. Dorothy is preceded in death by her parents and her daughter, Janie Irene Cunningham. Dorothy was a mother to many and an inspiration to all. Visitation will be conducted at Hurley Funeral Home at 118 W. Oaklawn Road in Pleasanton on Wednesday, June 13, 2018 from 4:00 pm to 6:00 pm. A funeral service will also be at Hurley Funeral Home on Thursday, June 14, 2018 at 10:00 am, followed by interment at Rutledge Cemetery in Poteet.